Inspired by a necklace worn by Cora, Countess of Grantham, at the concert fundraiser for war veterans, in Season Two. 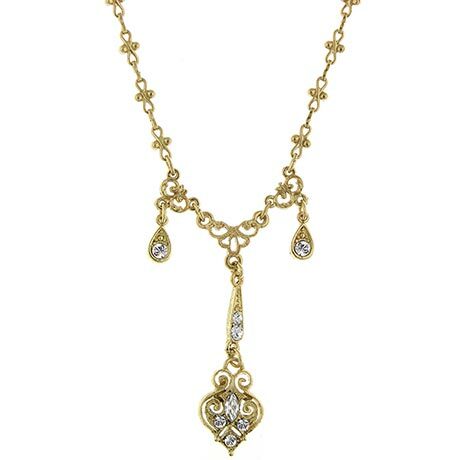 The gold-tone and crystal necklace has an elaborate center drop and a chain that adjusts from 16 to 19-inches. Please allow 2-3 weeks for delivery. Item can only be shipped within the Continental US.